For writer Katherine Powers, getting published might have been the easy part. Then she tried to get her book placed in the public library. Now THAT was hard. And, so far, impossible. J.F. 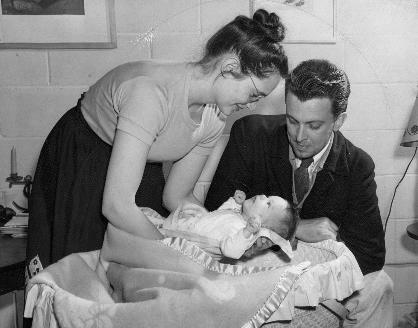 Powers, his wife, Betty, and their oldest child, Katherine. 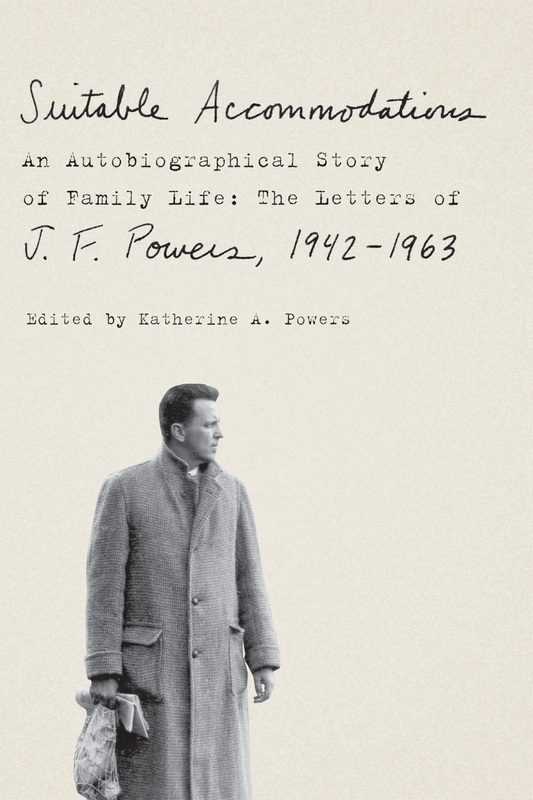 His daughter collected several hundred of these letters in a new book, "Suitable Accommodations: An Autobiographical Story of Family Life: The Letters of J.F. Powers, 1942-1963," published this fall by Farrar, Straus & Giroux, one of the most prestigious of the big New York Publishers. It is a book both scholarly and interesting, and it has been widely reviewed (the Strib review is here), in the Boston Globe, the Wall Street Journal, the L.A. Times, and elsewhere. Recently, Powers noticed that her own library--the one in Cambridge, Mass., where she lives--didn't have a copy. Other libraries in the system had it, and all of them were checked out. So she brought a copy down to the Cambridge library and offered it to them. No go. She explained the significance of the book. Not interested. "They asked me if the book is on the NYT best-seller list and when I confessed that it wasn't, they said they didn't want it," Powers wrote on Facebook. "Go away, was the dynamic, community-oriented message." Library officials declined to comment for this blog. The library director is out until Tuesday, they said, and she is the only person who can speak publicly on the matter. When asked for the policy--is it true that a book must be on the New York Times best-seller list to qualify for donation?--they again declined to comment. We must wait until Tuesday. Powers, meanwhile, has written a letter to the library trustees and the director, which she also shared on Facebook. it says, in part, "The idea that a local author's book, published by a reputable publisher, which has been widely reviewed, should not be in her local library—and is, in fact, refused a place in it—would be unbelievable except that it is simply another instance of highhanded bureaucratic rationale trumping commonsense and, not to put too fine a point on it, decency." This whole business, she added, "is, among other things ... a perfect example of 'policy-making' trumping common sense." Tuesday. Perhaps it will all become clear on Tuesday. Best read of the year?